Art Deco playing cards from Hungary. Tungsram lightbulbs, founded in 1896 in Hungary, were taken over by General Electric in 1989. 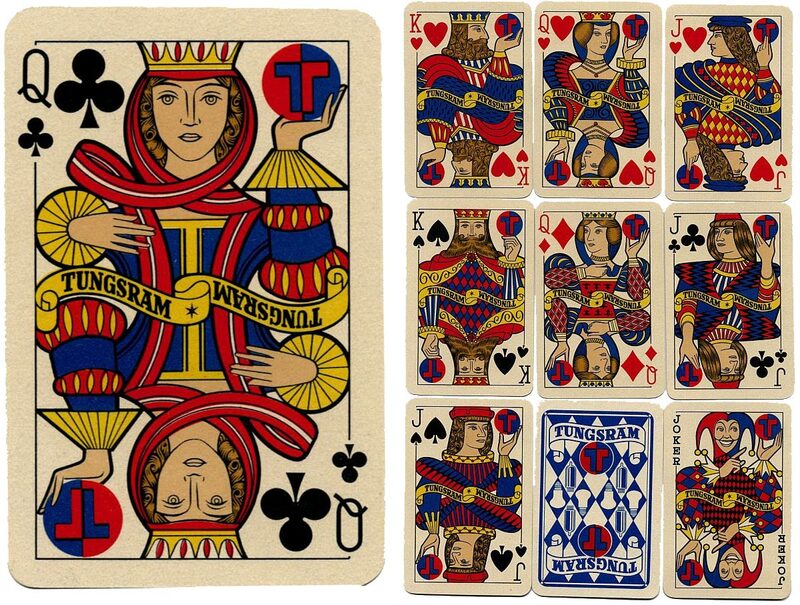 Tungsram playing cards produced by Játékkártyagyár és Nyomda (Playing-Card Factory and Printing House, Budapest) in 1958. 52 cards + 2 Jokers. Images courtesy Barney Townshend. See also: Jeux L.G.L., Paris.